This week in Paris, twelve people were killed in a brutal attack on the office of French satirical weekly Charlie Hebdo. Among those who lost their lives were two policemen and Charlie Hebdo staff, including editor Stéphane Charbonnier and three other well-known cartoonists. 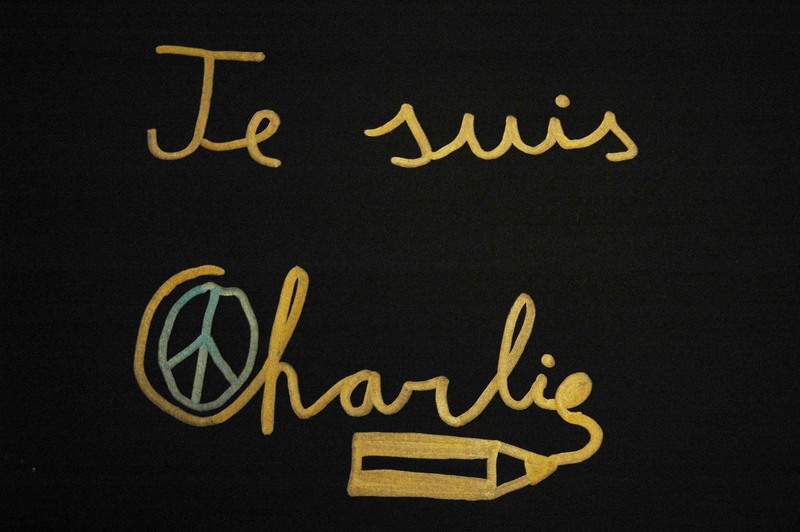 The Advocates for Human Rights stands with those who mourn the loss of all who died and honor the courageous Charlie Hebdo staff who were killed simply because they were exercising their universal human rights. There is no possible justification for these attacks. Those who planned and committed these crimes should be brought to justice through a fair trial. The French government should also take steps to ensure that all aspects of its response to the attack protects human rights, including protecting Muslims in France from reprisals. This was not the first attack on Charlie Hebdo. The office had been firebombed in 2011 after running cartoons featuring the Prophet Muhammad. Charlie Hebdo editor Stéphane Charbonnier had received death threats in the past and was living under police protection (his police guard was one of those killed). The cartoonists who died during the attack, like many political cartoonists around the world, knew that to practice their art was to risk their lives. In 2012, The Advocates for Human Rights posted a photo essay on exhibit called Cartooning for Peace that highlighted the work of cartoonists around the world who risk great danger in order to voice their opinions and protect freedom of expression. In the aftermath of the attacks, Cartooning for Peace has begun to publish cartoons that pay homage to those killed in the attacks in Le Monde. You can explore those cartoons here. The Charlie Hebdo has posted two images (“Je suis Charlie” and a fist holding a pencil) on their website along with a statement that because freedom of expression is a universal right, the next edition of the publication will be published on Wednesday, January 14.